Every time I see a new post in this thread I'm thinking "Oh god, what new ride are they announcing now?" It actually took me a few seconds to realize this was just a name announcement for the new Intamin hypercoaster. The theming looks very interesting, if it's well executed it looks like it could be really awesome! This ride looks fantastic. The restraints look like the ones on Taron and Red Force, which is exciting. Those restraints were extremely comfortable. Space kicks A$$ and so do Intamin hypers, so this was an obvious move by the park. Can't wait to give this a spin in 2019. BigBad wrote: Are those like the Skyrush trains but with the floor extended out the whole way? I wonder why they would extend the floor. I like the wing seats on Skyrush, probably even more than B&M. The restraints look better, though. Skyrush and Flying Aces are their own "Wing Coaster" type. These trains look like they're effectively just four-across versions of the ones that debuted on Taron and Hefei Wanda's new launched coaster, even with the ridiculous elevation of the center seats. Wow love those trains, especially the control panel and the blue stripe. This ride looks incredible. The first track pieces of Hyperion have arrived at the park! 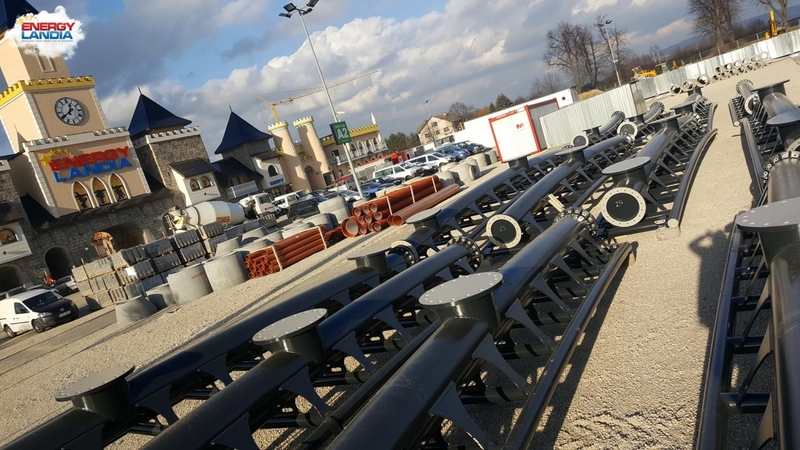 EnergyLandia has released tenders for 3 new roller coasters that will open before or in the year 2020; An RMC I-Box, a Multi-Launch Water Coaster and a Mine Train Coaster. 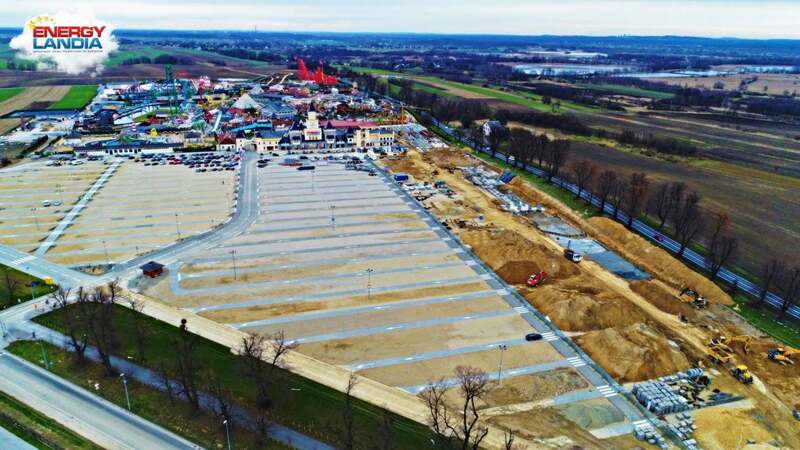 For those who don't know it yet, Energylandia is a Polish amusement park open since 2014. It already has no less than 10 roller coasters, including 2 under construction. In 2017, the park has added 4 new roller coasters; a family boomerang from Vekoma, a kiddie coaster from SBF Visa Group, a spinning coaster from SBF Visa Group and a water coaster from Intamin, which is still under construction. For 2018, the park plans to add an Intamin Wing Coaster called Hyperion. It will stand 77 m high and will offer a 85° 81 m tall first drop allowing the trains to reach the maximum speed of 140 km/h. For the year 2020, the park will add another 3 new roller coasters. This includes an RMC I-Box, a Multi-Launch Water Coaster and a Mine Train Coaster. Here is an extract of the technical characteristics of the rides, filed by the park. It should also be noted that the park has requested funding for an “innovative Tilt Coaster". Also, on November 30th, 2017, Vekoma has given an offer to one of Energylandia's bids. Indeed, Vekoma has won a contract for a new wooden roller coaster. Since Vekoma is the European distributor of Rocky Mountain Construction, it will most likely be a wooden coaster signed from RMC! If these rides do see the light of day, the park will have the best coaster collection in all of europe, no question! And while I've never been to the park, from the videos I've seen the park looks kinda sketchy. Like it was erected from the ground a year ago (I know that's kinda the case BUT) with a very low budget even though they're putting out high quality rides such as the intamin hyper. But in the end... Who cares they're building insane rides like there's no tomorrow.